Chiron Health announced that the company has released an industry-first telemedicine insurance Rules Engine and Reimbursement Guarantee. 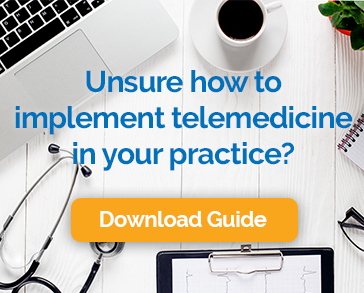 This advanced set of telemedicine billing and reimbursement tools helps physician practices overcome the most common barrier to telemedicine adoption. Austin, TX – February 3, 2016 – Chiron Health, Inc., a leading provider of HIPAA-compliant video visit and reimbursement services, today announced that the company has released the industry’s most advanced set of telemedicine software billing and reimbursement tools. To combat this roadblock to telemedicine adoption, Chiron Health has released a set of tools that automate the billing and reimbursement process—removing the burden from office staff to manually check telemedicine eligibility nuances and exceptions. The Chiron Rules Engine initiates a telemedicine insurance eligibility check each time a video visit is scheduled by automatically pulling the patient’s insurance information from the clinic’s practice management system. By checking the patient’s insurance information against a proprietary database of state telemedicine reimbursement mandates and payer-specific nuances, Chiron Health is able to make an accurate determination of the patient’s eligibility for telemedicine reimbursement. In addition, the Chiron Rules Engine gets smarter with each eligibility check performed, pushing new rules to all clients through its cloud-based technology—ultimately cutting down on frustrating denials. Chiron Health’s advanced billing and reimbursement tools guide practices through the complexities of telemedicine reimbursement and get physicians paid faster.